Why are we different to other estate agents? 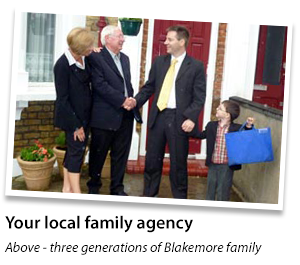 We are a genuine, independent, family agency with a reputation for quality, service and efficiency. We take time to listen to you, appreciating every move is different..
We’re able to offer advice on a wide range of subjects including investments, mortgages, home conveyancing, home insurance and even home improvements. Advice is always free, so please feel free to call anytime, and a member of our family will be happy to help.